She was born May 16, 1961, in Sharon, Pennsylvania, a daughter of the late Johnny “Bob” and Catherine Adkins Johnson. Deborah was a homemaker and she enjoyed writing poems, watching TV, doing crossword puzzles, playing cards and spending time with family and friends. In addition to her parents, she was preceded in death by one son, Jeremiah Egbert; one sister, Fay Ann Satmare; and two grandchildren, Hannah Egbert and Wyatt Egbert. 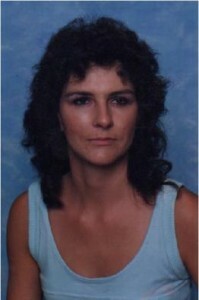 Deborah is survived by her husband of 24 years, Doug Dewayne Davis; two sons and a daughter-in-law, Charles and Tara Egbert of Garrison, and Dustin Egbert of Lancaster, Ohio; one daughter and a son-in-law, Melinda and Shane Scott of Crestwood; 13 grandchildren; two great-grandchildren; two brothers and a sister-in-law, Rick and Brenda Johnson of Garrison, and Gary Johnson of Vanceburg; and six sisters; Joy Johnson, Brenda Johnson, and Darlene Grigson, all of Garrsion, Donna Stamp of Niles, Ohio, Sue Womer of Warren, Ohio, and Tammy Carver of Vanceburg. She also leaves many other family members and friends who will sadly miss her. Services will be at 11:00 a.m. Monday, March 21, 2016, at Globe Family Funeral Chapel in Garrison. Burial will follow in Skidmore Cemetery at Garrison. Friends may visit from 6:00 p.m. until 8:00 p.m. Sunday and until the service hour on Monday at Globe Family Funeral Chapel, 103 Dudley Avenue in Garrison.